The newly redesigned InWall Silver/15 Sub is the perfect choice where prodigious bass is desired without the imposing presence of an unattractive black box in your room. 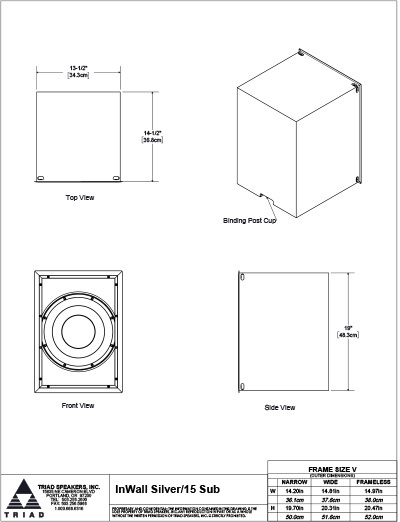 The InWall Silver/15 Sub features a 700 watt amplifier, a long-throw, cast-basket 12″ driver, and the most structurally solid inwall subwoofer enclosure available anywhere. An elegant Acoustiperf grill can be custom ordered in any color to match your decor, further minimizing this subwoofer’s visual impact upon the room. 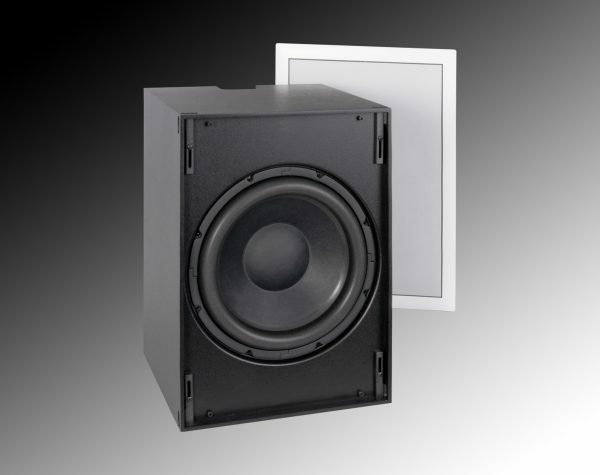 Where there is at least 15″ of depth; in a false wall, a cabinet, or between 16″ centered floor or ceiling joists; the InWall Silver/15 Sub is the one answer for powerful yet invisible bass.